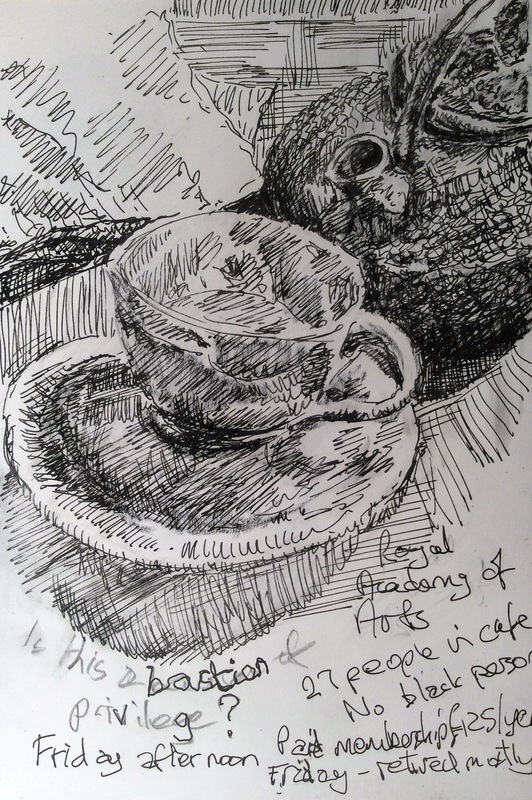 This entry was posted in Media - Drawing and tagged art, drawing, painting, watercolour. Bookmark the permalink. That can be more disturbing. Can abruptly pull us up short. Lovely teapot though. Your notes resonate with me. I feel so uncomfortable at the white privilege that oozes at art events, they tend to be so bourgeois.